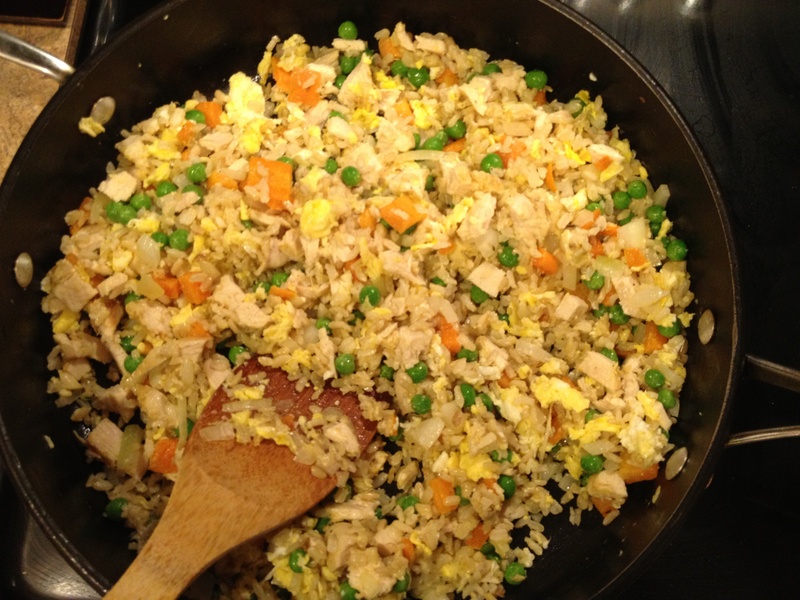 I love this recipe because it helps to use up a lot of left overs in the frig and puts them together in one delicious and quick dish! 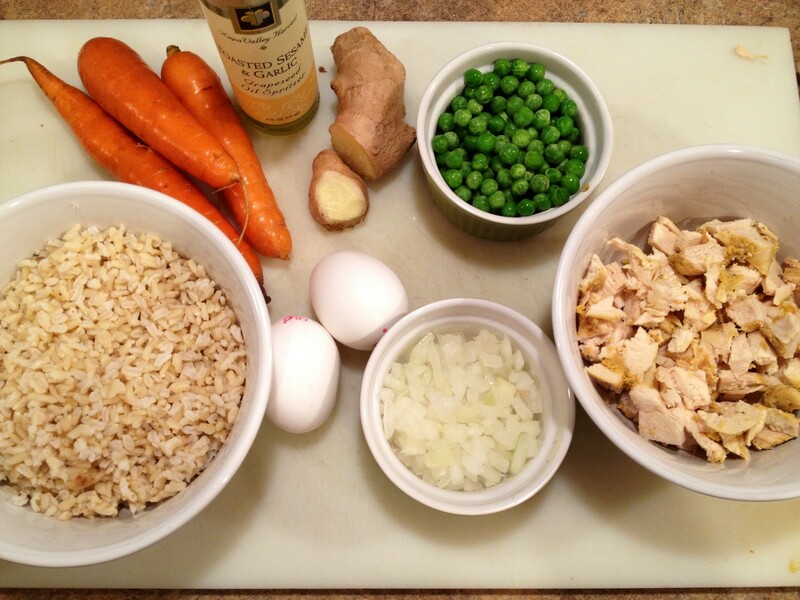 When I cook brown rice (and we always use brown instead of white for Diabetic reasons), I always make a large batch, knowing full well I can whip up a quick Stir Fry that will satisfy everyone in our household. My husband doesn’t really think something constitutes a meal unless is contains a “protein” of some sort, but this dish would be just as yummy served with only vegetables. 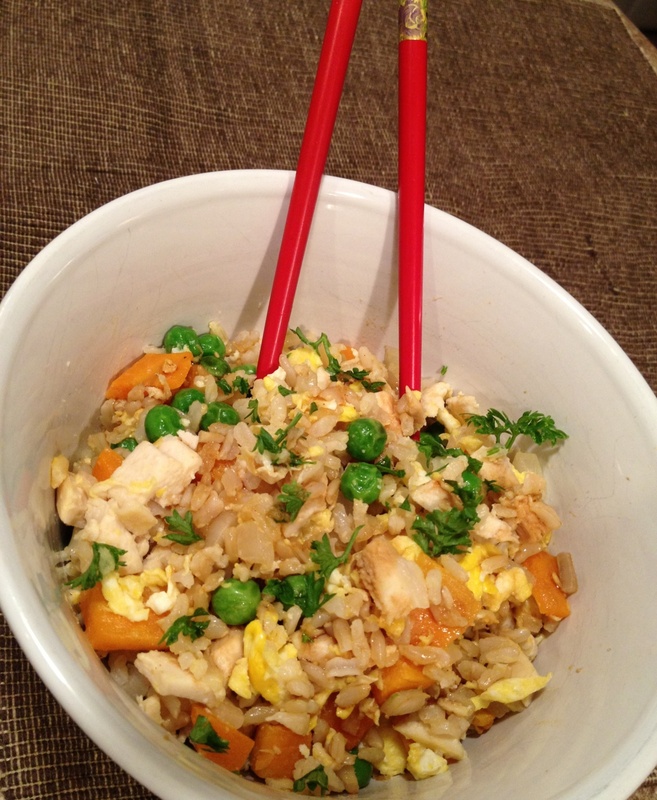 Lots of leftovers makes for a delicious Stir Fry in minutes! Heat large pan or wok on med to med-high heat. Add 3 tablespoons Sesame oil. Add carrots and let them sweat for about 3-4 minutes. Add rice and stir to combine. 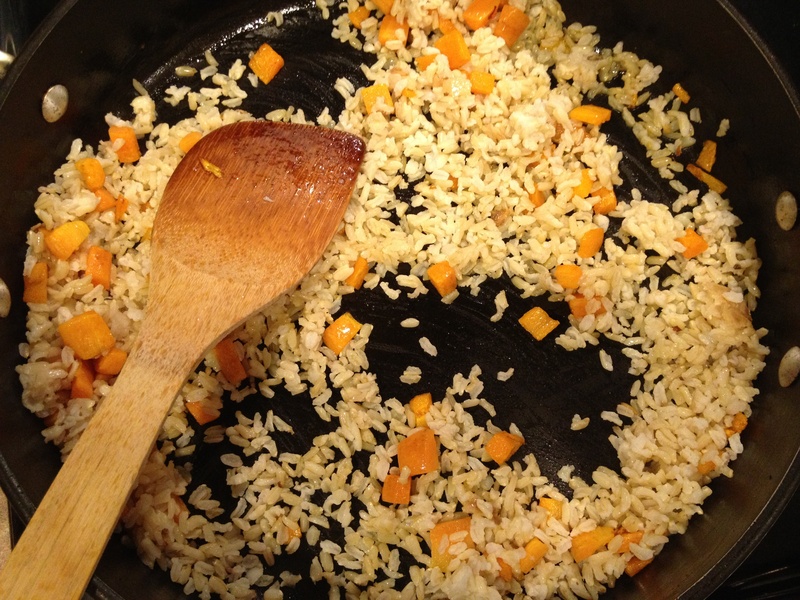 Push rice and carrots off to one side of pan and add the eggs. 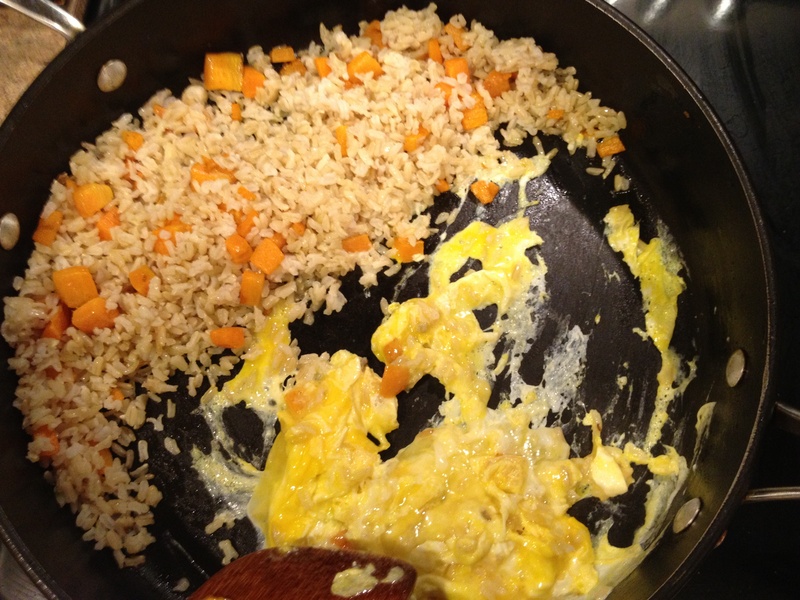 Scramble on half the pan and then incorporate to rice and carrots. Add the rest of the veges and ginger and stir for a couple of minutes. Add your protein and stir for a few more minutes. Drizzle with Gluten-Free Soy Sauce and voila! Gluten-Free, Diabetic, Kid-Approved Recipes that are not only delicious but more importantly...Budget Friendly!! !